Having never managed to defeat Hamburger SV in the Bundesliga, SV Darmstadt 98 are out to make amends when the sides meet on Saturday evening (kick-off 18:30 CET/17:30 GMT). 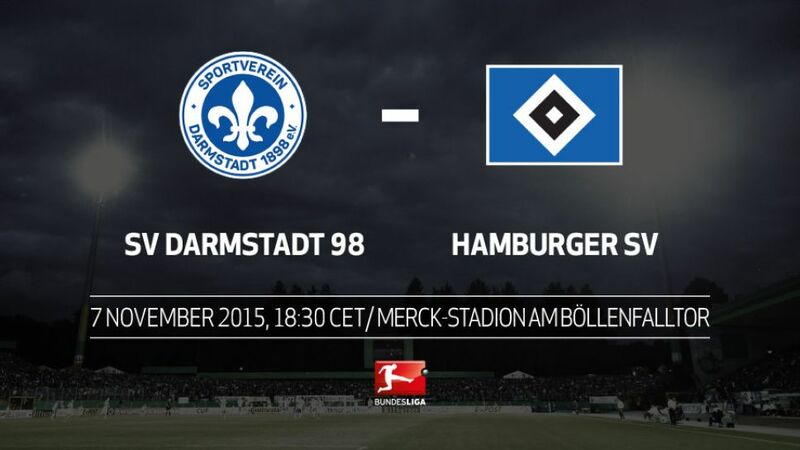 Darmstadt are currently 13th in the standings – their lowest position all season. They are now just three points above the relegation zone.This will be the first time Darmstadt play in the Saturday evening slot in the Bundesliga.Both HSV head coach Bruno Labbadia and his assistant Eddy Sözer used to play for Darmstadt and later worked as coaches there.This will be the first time these teams meet in a competitive fixture for 28 years.Darmstadt lost back-to-back league matches for the first time this season last week.Hamburg have only scored two goals in their last five Bundesliga outings.